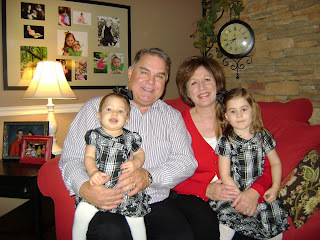 On November 15, 2009, we dedicated Bailey to the Lord. 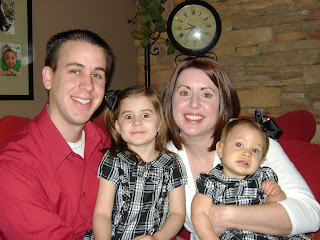 Craig and I vowed to raise her in a Godly way and to do everything in our power to turn her heart towards God. We love this little girl so much and our prayer is that she (and Avery, too) would come to know the Lord at a young age and that it would be genuine. 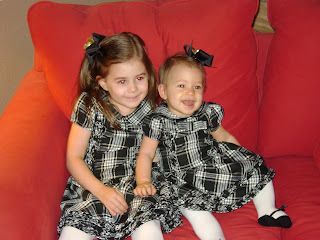 We pray they will follow the Lord all of their lives and never turn from Him! 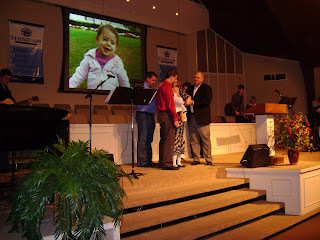 That morning at church, with most of our family in attendance, Craig and I with the girls went up on the stage. Pastor Rick said some nice things about us and Mr. Jamie our children's minister presented Bailey with a gift. She was given her own New Testament and a letter that Bailey is not to open until she is 18! 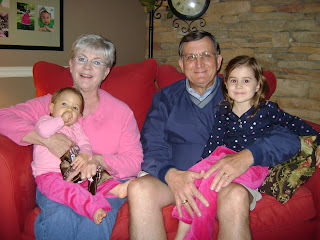 Afterward, all of our parents joined us for lunch at our house. It was a fun day and one we will always remember!